A blog by Eleanor; following her process of becoming. Personality tests are potentially my favourite thing to do. I love a good quiz so doing a quiz about something I know everything about (myself haha) and that there's no wrong answers to just makes me so happy. Plus, I love learning about aspects of myself that I hadn't really considered before and discovering what kind of job or life I'm likely to be suited for. 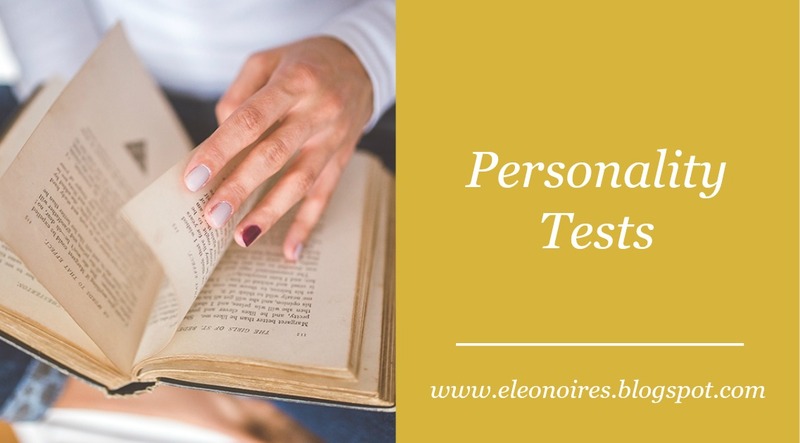 Basically, what I'm trying to say here is that today I'm going to walk you through two of my favourite personality tests and give you the links to the websites where you can go and take them yourself. Depending on which of the two labels at either of end of the scale you're at, you're given a letter. I, for example, am an INFJ - Introvert, Intuitive, Feeling, Judging. I find this kind of thing really interesting and so I've spent hours and hours reading up on everything about my personality type and how the test was devised etc. I'm obsessed! I am a type three and, honestly, I find I fit that description more than I do an INFJ but that's just a personal thing and probably not a reflection of the tests themselves. Like the MBTI, I've read through the descriptions of all the different types and what they mean and I find that I'm definitely a Three more than any others. I find it kind of irrational to reduce yourself to a number or a series of letters in this way and I'm doubtful that there's any real science behind the tests and yet I find these tests incredibly useful. Even if they don't describe me perfectly, they've made me realise parts of my personality and my thought processes that I hadn't recognised before and I find them to be really motivating. Being an INFJ means that I can be decisive and determined. Being a Type Three means that I am success-oriented and driven. I've taken these messages on board and I'm using them to encourage myself and to improve myself as a person. I wonder, even if they are pseudo-scientific, if the fact that they may create a greater level of self-awareness means that their unscientific nature isn't inherently a bad thing? Just because something isn't strictly true doesn't mean it can't be a force for good? I feel like I've just rambled my way through this post but if you've stuck with me until the end then I'm very grateful! What were your results on these two personality tests? Do you know of any more tests that you could link me up to? I'm interested! Thank you for your comments. I'll try to respond to any questions as soon as I can! Since I'm only 18 and still in full-time education, I haven't had a great deal of opportunity to go travelling. I have, however, had a lot of time to think about all the places I want to go. At the moment, the place I'm wanting to go to the most is Japan. When I say this, I'm not talking about the cities with their millions of people, the fast-paced streets, the smoke etc. In fact, I'm desperate to go to the ancient parts of Japan and be very, very peaceful. I want to be surrounded by cherry blossom and temples and silence. So here's a quick rundown of the parts of Japan that I want to visit the most. 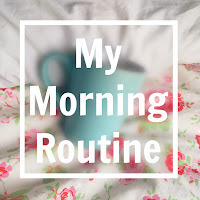 I love a good morning routine. Apparently, some of the most successful people in the world have a daily routine that they hold sacred. Perhaps this is why I love reading about what others do to wake themselves up so that I can learn from them and incorporate their ideas into my own patterns. Despite this, I'm a creature of habit and I like doing the same few things frequently because I know that it works for me. I know that it wakes me up and puts me in a good place for the rest of the day - which is, of course, something that everyone needs in the morning.